A huge thanks to #PlaidCrafts for providing product and payment in exchange for this furniture transformation. I learned How to Easily Refinish a Quilt Rack, and my husband thanks you. All opinions and tutorial are my own. A few weeks ago, I had enough. I was tired of the clutter, tired of furniture that the boys were simply pushing around the house, and tired of outdated pieces that just didn’t fit into my decor anymore. So I took my frustration out on this poor little quilt rack. My husband begged me not to part with it. We had purchased it at a thrift shop a month after we were married. Too bad I’m not sentimental. I will typically sell or give away anything that’s not breathing when I get in one of my moods. So I loaded the quilt rack up in the van to take to the Mission Thrift Shop the next day. That’s when a miracle happened. Someone was looking out for the little quilt rack. That evening I opened my email to read about FolkArt® Home Decor™ Chalk, a no prep acrylic paint designed especially for transforming tired home decor items into stunning conversation pieces. 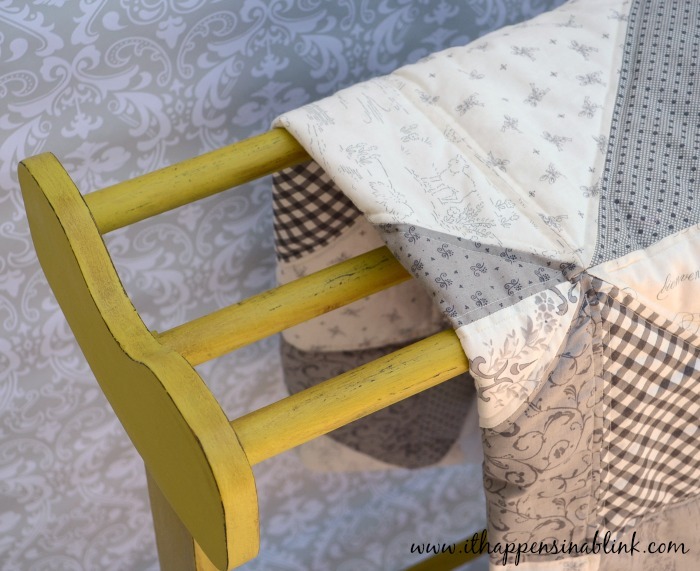 And this, my friends, is how I learned to easily refinish a quilt rack. Of course, you can use any colors that you like! FolkArt® Home Decor™ Chalk is available in 16 colors, all with the same ultra matte chalk finish that is perfect for layering. Begin by wiping the quilt rack clean. The awesome part about this paint is that I didn’t have to sand the piece AT ALL. It felt unnatural. I thought the furniture refinishing police were going to pull in the driveway at any moment. But the paint is created for minimal prep– just wipe and done! I’d also recommend filling any holes in the piece before painting. We keep paintable wood putty on hand for tasks like that. 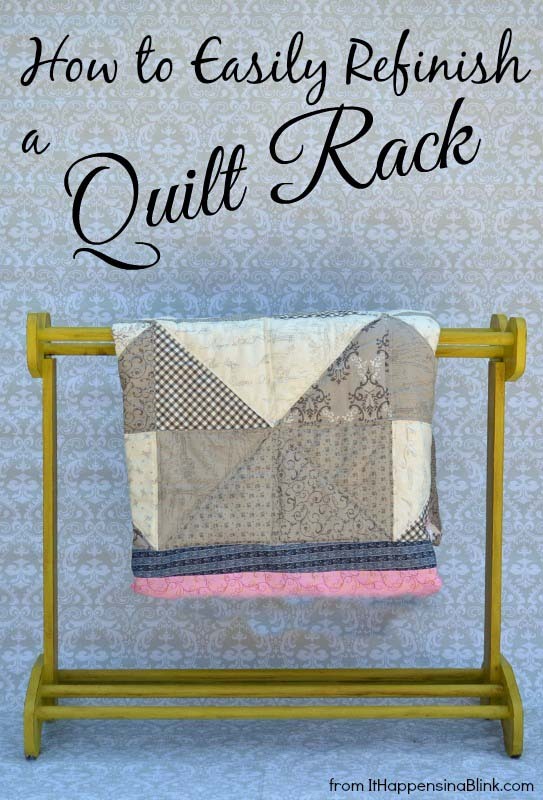 Using a soft bristled paint brush, cover the entire quilt rack with the base color. In this case, I used FolkArt® Home Decor™ Chalk in Java. Let the paint dry for two hours, then apply another coat. For me, it only took two coats of the base coat, but another coat can be applied for your project if there is not enough coverage. I was so impressed at the improvement after this step that I almost just left it Java. But I continued with the FolkArt® Home Decor™ Chalk in Yellow Crochet. Cover the Java color with the Yellow Crochet. Let dry for two hours, then apply another coat. I had to apply a third coat, as well. The most difficult part of the painting process was getting the paintbrush in the small grooves and spaces between the rods on the quilt rack. Consider grabbing a smaller paint brush specifically for this purpose. Let the paint dry and cure for 24 hours. Since I didn’t get to sand at the beginning, I was excited to break out the sandpaper now and distress the piece. I used a 220 grit sandpaper. There is no exact science to distressing. 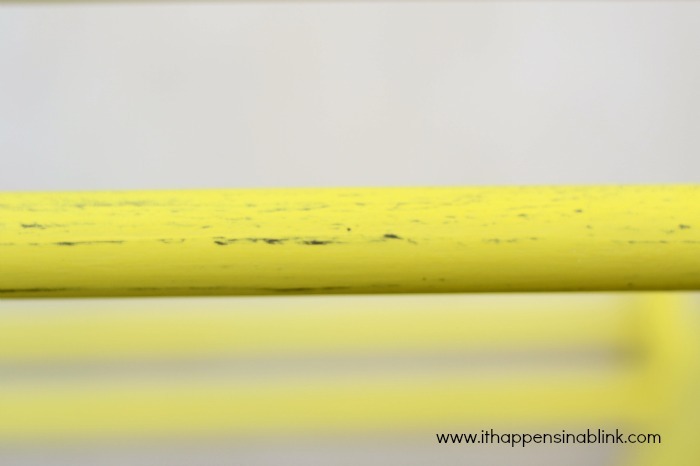 I sand lightly– once the paint is sanded off, it’s off. I take extra time and hand sand slowly. Sand the Yellow Crochet until the Java is peeking through at the desired places. I used three pieces of sandpaper and paid specific attention to the edges. The edges of furniture are the places that show wear first. Now it’s time to apply the wax. The Antiquing Wax applies better if Clear Wax has been applied first. 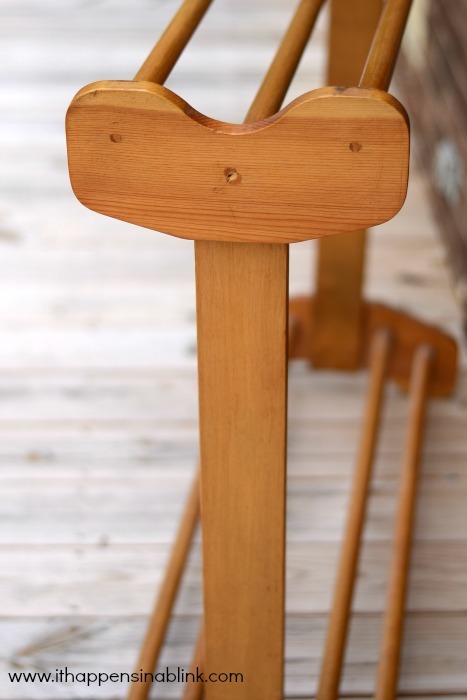 Using a soft bristled brush, apply an even coat of the FolkArt® Home Decor™ Clear Wax over the entire piece. Let dry an hour, then use the lint free cloth to buff the wax. Since I was applying another wax over this one, I only did a quick buff to remove any thick wax. At this point, I decided to go ahead with the FolkArt® Home Decor™ Antiquing Wax. 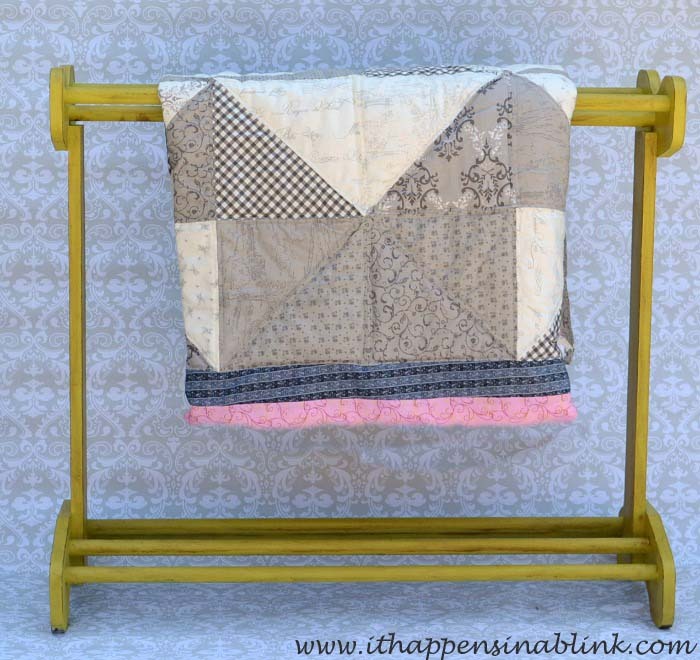 Although I do have to admit, I really liked the look of the quilt rack at this point. But I was interested to see the unique look that the FolkArt® Home Decor™ Antiquing Wax would give. The FolkArt® Home Decor™ Antiquing Wax was not difficult to use, but I did have to set aside specific time for this last step. Once started, there were only particular stopping points. So be sure to keep this in mind. 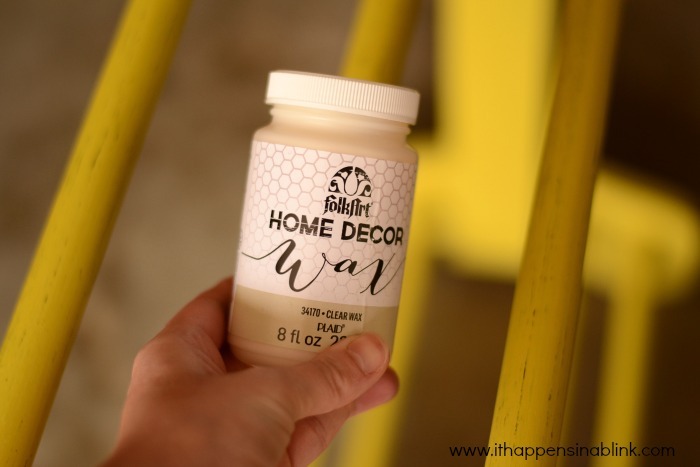 Use the soft bristled paint brush to apply the wax. It will go on dark brown, almost like the Java paint. Only paint a small section at a time. Before the wax has a chance to dry, use a lint free cloth to buff the wax. This action will leave a brown tinting in the grooves of the wood, but the majority of the color should wipe off on the cloth. I am glad that I didn’t send my quilt rack away. 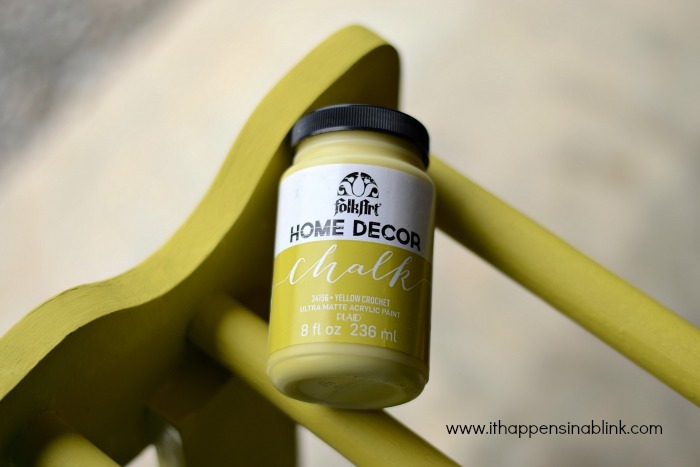 I am loving the new look, and I have built my confidence in furniture refinishing with these easy to use FolkArt® Home Decor™ Chalk and Wax. 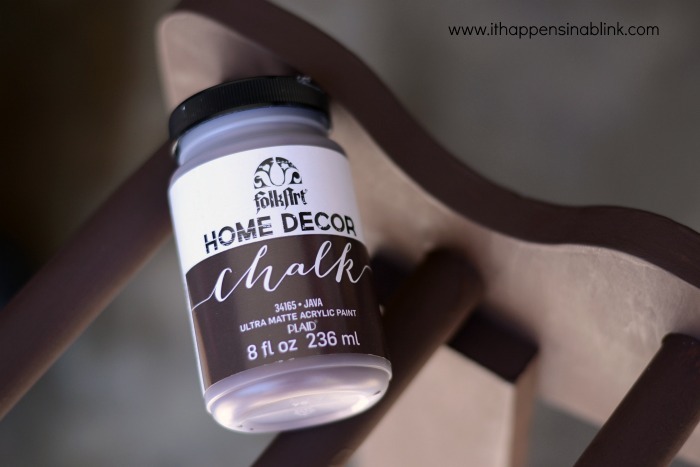 I will definitely be trying more projects with this FolkArt® Home Decor™ Chalk soon! 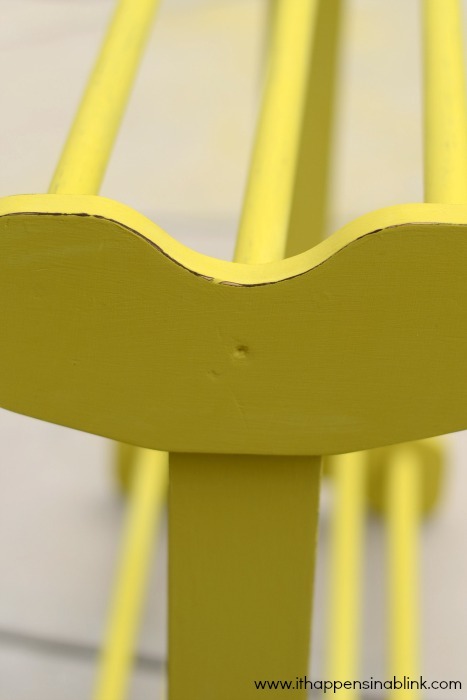 I love refinishing projects like this…and the Folk Art Chalk really is super easy to use. 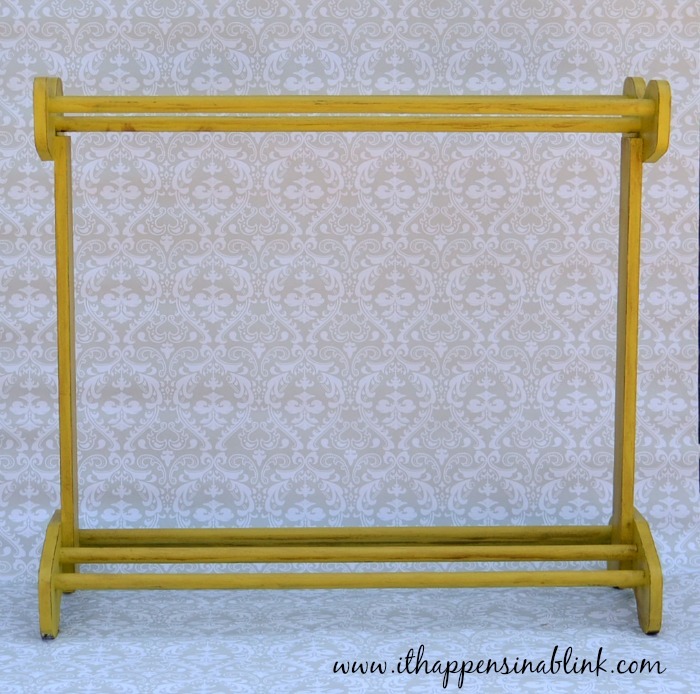 I just redid a frame from Goodwill and it looks like a totally different piece…as does yours! Well done, friend!! Can’t wait to see your frame! Wow, the colors are awesome and your project turned out fabulously! 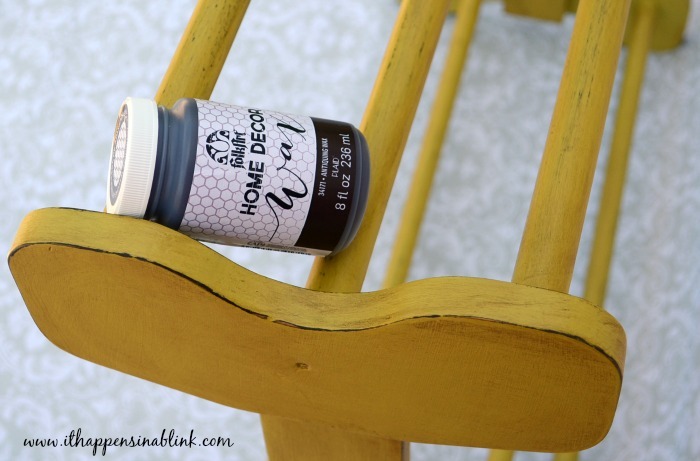 I definitely need to try some of this brand of chalk paint! Thanks for introducing me to Folk Art Brand! Wow, it looks great with the bright makeover! I loving painting furniture- it gets addicting! 😉 I’ll have to check out the FolkArt paint. It turned out so beautifully! Great job Melanie!! How fun that your quilt stand was “preserved” for you!! 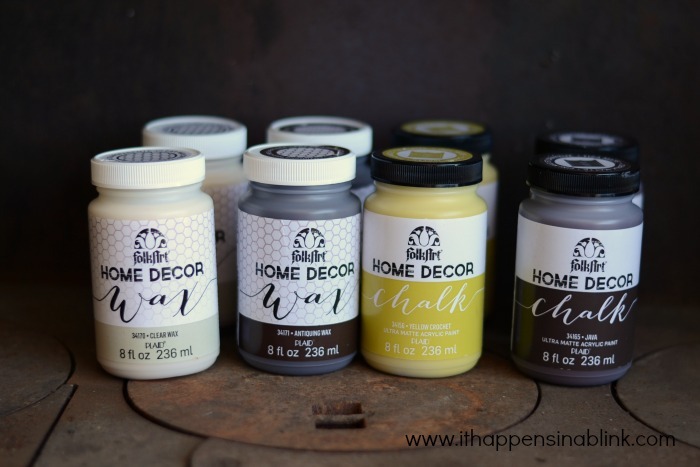 I really enjoyed working with the FolkArt Home Decor Chalk, too!! Best wishes for more extraordinary creativity! Where can I purchase this paint? I live in Greenville, pa. It turned out so well!!! This came out great, Melanie! Love the way it turned out! Great job! !